Hitman, the sixth installment in the Hitman video game series, is an episodic stealth video game developed by IO Interactive and published by Square Enix for Microsoft Windows, macOS, Linux, PlayStation 4, and Xbox One. Hitman was released in March 2016, and the game’s prologue acts as a prequel to Hitman: Codename 47, while the main game takes place seven years after the events of Hitman: Absolution. In Hitman, players take control of Agent 47, a genetically enhanced assassin, and travel to international locations and eliminating contracted targets. Since Hitman is episodic in nature, new content is constantly added, such as weekly events, Elusive Targets, missions and various expansions. Since launch, other cities for the Hitman main game have been released, such as Sapienza, Marrakesh, Bangkok, Colorado and Hokkaido. 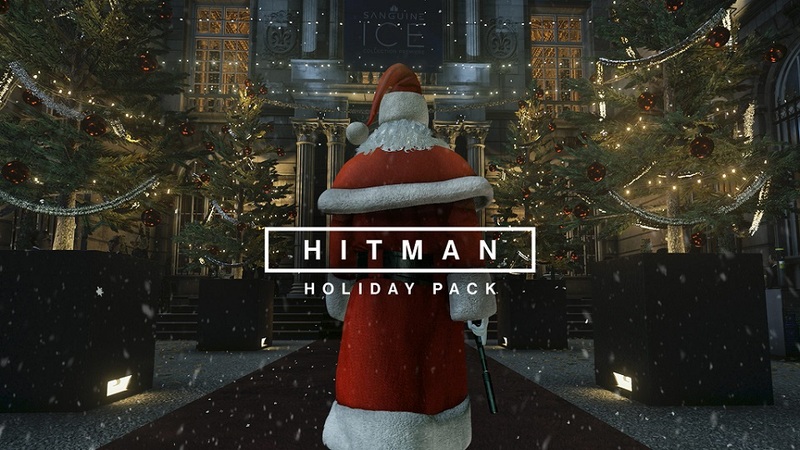 In conjunction with Christmas celebration, IO Interactive releases the Hitman Holiday Pack for PC (Windows, macOS , Linux), PS4 and Xbox One. Through Hitman Holiday Pack free download, players have full access to Paris destination, and it also includes the first major story mission from the game, ‘Showstopper’, plus all of the Escalation Contracts that were released for Paris, ‘Holiday Hoarders’ mission, the Paris Challenge Packs and achievements/trophies. The ownership of Hitman Holiday Pack will also allow you to play the future re-activated Elusive Targets in Paris. HITMAN – Holiday Pack giveaway may somewhat similar to free trial demo game, and almost all existing players have Paris destination as part of the base game. The consolation prize is the Holiday Hoarders mission, and the Santa suit can be unlocked to be worn on all locations. Hitman Holiday Pack is only available for a limited time, from December 15th, 2017 to January 5th, 2018. If you’ve downloaded the HITMAN Holiday Pack, Paris is yours to keep permanently. All of your progress and mission mastery will carry through to the full game when you choose to upgrade to the full game, e.g. HITMAN – Game of the Year Edition. Hitman Holiday Pack is available on Xbox Live, PSN or Steam (for Windows PC, macOS Macs, and Linux). Note that in Steam, just hit “Play Game” to add HITMAN to your game library. HITMAN may not appear in the library, even though you’ve played the game, as it’s a free game. But at the HITMAN game page, you should see that “HITMAN is already in your Steam library”.